If you are new to Be in Health®, the For My Life® Retreat is where it all starts! This is where you begin to learn the Biblical principles that will make you free. Over 20 years ago, Be in Health® ran into a great problem. Thousands of people were coming for help, but we didn’t have the infrastructure to help them all. Out of this was birthed the For My Life® Retreat. For My Life® is our world-renowned one-week retreat that teaches attendees what is causing their specific disease and the Biblical solutions to overcome and be healed. Retreats start at $459 for adults, $299 for youth, and $199 for kids. What is the For My Life® Retreat? Over thirty years ago, Dr. Wright experienced success in praying for people to be healed from disease. Then, all at once it stopped. He began asking God why people weren’t being healed and why the laying on of hands wasn’t working like it should. Through this pursuit, he began a lifelong journey of discovering the spiritual roots of disease® and blocks to healing. He discovered that 80% of all diseases have a spiritual root issue and are a direct result of breakdown in relationship with God, ourselves and others. He began personally ministering to and teaching a handful of people in the Biblical principles and truths that he had discovered and found great success in their healing and recovery from all manner of diseases. As the word spread and the number of people coming to him for help increased, Dr. Wright realized that it would be more effective to develop a week long retreat to teach and minister to a larger group of people. That is when the For My Life® Retreat was birthed. Over the years, For My Life® has developed into a world renowned resource for the healing and recovery for tens of thousands of people. Its fundamental teachings lead the attendee through a journey of better understanding God’s love, who He is and their identity in Him. With this foundation, the For My Life® Retreat helps people understand how the enemy operates in their lives through thoughts, feelings and emotions, in order to produce disease and to cause separation in relationship with God, themselves and others. They are taught how to recognize and overcome the iniquity in their lives so that they can walk in the wholeness of life that God intended for them. The For My Life® Retreat has produced time tested results with healing and recovery from all types of diseases and disorders including, but not limited to: allergies, autoimmune diseases, cancers, heart diseases and muscular skeletal issues. Not only have we seen incredible results with physical issues but also with emotional and psychological issues such as: depression, addictions, bipolar, multiple personality disorder, anxiety disorders and many more. There are ministry times all throughout the week and at the end of the week there is a time for personal prayer. There is also a discussion time after many of the classes where attendees may interact with the teachers and ask questions in our connection lounge area. Thomaston is an excellent setting for our guests to get away and unwind. Located in the heart of Georgia, it has a small town feel and is a relaxed, truly down-home, southern community. The Be in Health® facilities, where the For My Life® retreat is hosted, are actually a vintage school building providing an ideal setting for the various classes we host. We are nestled right at the tip of the foothills of the Appalachian Mountains. The scenic Flint River flows only a few miles away and is an excellent recreational setting. We also offer our newly upgraded accommodations at our Hope of the Generations campground and at our Hope Inn. This provides a comfortable, safe place for our guests to stay with fellow participants so that your time with us will truly be an opportunity to unplug, unwind and receive refreshing and renewal hope for your life. We look forward to welcoming you here and being able to assist you in your journey as an overcomer. The For My Life® Retreat tuition cost is $699 per person (adults 18+), BUT when you and those attending with you choose to stay in one of our Be in Health® accommodations that price is discounted to $459 per person (adults 18+). Accommodations and rates may be viewed by clicking the link below. Financial assistance may be available to those who qualify. Call our Guest Services at 706-646-2074 or 800-453-5775 Option 1 to find out what may be available to you. Click here to read the reviews of For My Life® Retreat participants on Facebook. 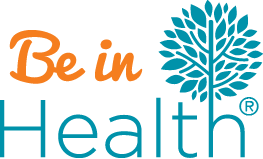 Click here to see the Be In Health® Accommodations. Click here for the upcoming dates of the Retreats. I want to come to For My Life: Click Here. For My Life® Retreat weeks every year! Can’t Make It To For My Life? Try For My Life® Online! As we said before, For My Life® is where you have to start, but if you are not in a position to make the trip to Thomaston, GA we do offer the For My Life® Online Course. This is a full For My Life® you can complete at your own pace within a 12-week time frame. Although there is nothing like coming to the For My Life® Retreat in Thomaston, GA, For My Life® Online is the next best thing. However, the healings from For My Life® Online have been amazing too. For My Life® Online is $459 and includes a downloadable course guide to follow along with the classes and ministry. Are you currently enrolled in the For My Life® Online class?